Ceej is a simple, colorful set of emails tailored for account management. 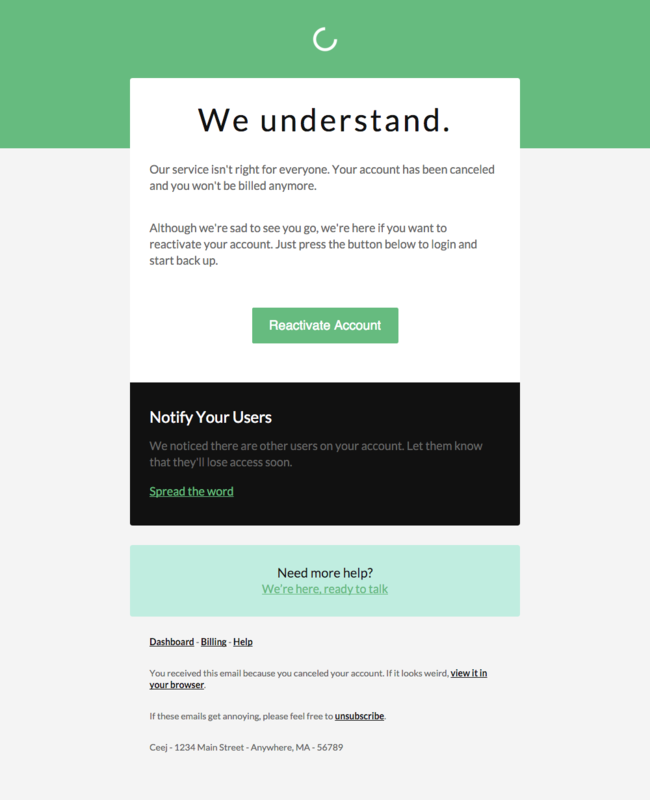 The Closed Account template is perfect for informing users that an account has been cancelled, expired, or close for any reason. It's straight-to-the-point and gives users the information they need as quickly as possible.